gabby sews: Want a Huge Discount on CTMH? Want a Huge Discount on CTMH? When I signed up as a consultant with Close To My Heart two years ago it was as a hobbyist. 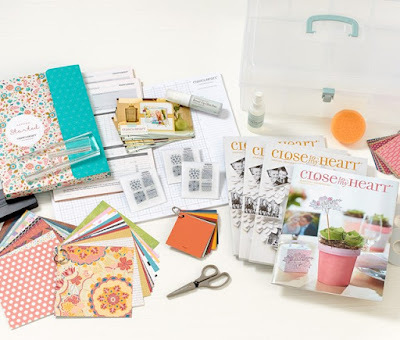 I love CTMH products and between my personal crafting and making cards for various charities I knew I could easily spend the $300 ($234 after my consultant discount) every three months to keep my consultant status. And...I was right! I have no problem spending that amount on the staples I use all the time (cardstock, card bases, envelopes, ink, etc.). In addition I earn awesome extra rewards called Select Product Credit (SPC) that I can use on anything that you can use hostess rewards to purchase. Speaking of hostess rewards...I usually save up my quarterly purchases and create a "gathering" with myself as the hostess. That usually nets me another $40 in free stuff and I can also purchase one item at 50% off. All told I end up with $345 in product for $234 plus I get 50% off another item - I usually use that on one of the big ticket items like the Cricut cartridges or a new album. 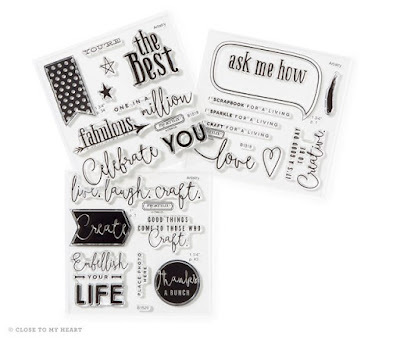 As a consultant I can also order items one month before they show up in the catalogs and I can purchase the Stamps of The Month at least a couple months in advance which is great because that means I don't have to place a $50 order every month to get those stamps and can instead place one big order so I get the hostess rewards and a larger SPC. Why am I telling you all these secrets?!? Well...CTMH has a new consultant kit that just came out yesterday with some really neat features. This is a much better deal than when I signed up two years ago! The kit costs $75 and you get all the items shown below plus $50 in SPC credit to spend! I'm really loving the $50 SPC so you can buy what you want rather than getting paper or stamps in your kit that you don't want. I have to admit that I am still trying to use the paper that came in my consultant kit because it just wasn't my favorite and I think there is one stamp set that came in my kit that I never used. I would have much rather been able to pick and choose what I wanted. Another great thing if you sign up in April is if you submit $350 in sales during your first 30 days* you get your choice of either a free Cricut cartridge or an additional $100 in SPC!! *The 30-day period begins five days after the New Consultant Kit has been shipped. Offer valid April 1, 2016 (9:00 am MDT) – April 30, 2016 (11:59 pm MDT). *At $250 in sales you earn 3 FREE exclusive stamp sets not available to order - this is available for new consultants that join any time of the year. *Shipping is charged on free items, and shipping/tax is added to the kit cost. If this interests you, just contact me at the link on the sidebar and I'll give you more information. I am a hobbyist so you will not get any pressure from me to sell anything. If you just want to sign up to get the awesome kit and $50 in SPC and then never do anything further as a consultant, I am fine with that. However, if you want to run this as a business, I can certainly get you networked with some awesome women who are doing awesome things! You can earn all expense paid vacations for two (this year was a Caribbean cruise and last year they went to Hawaii! ), exciting awards, and do it all while making good money and having fun!